Smelly Mel’s Fire Line Back flow and Sprinkler system services and repair is highly rated in San Francisco Bay Area. Our goal at Smelly Mel’s Plumbing Inc. is to serve our customers with outstanding professionalism and give complete ease of mind when it comes to your facilities’ fire protection systems. If the day comes when one of your fire protection systems needs to activate, it will function properly to save life and property. 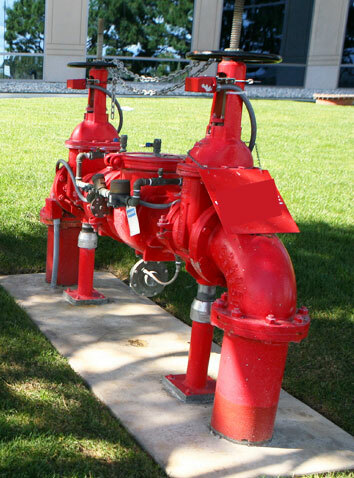 Maintaining backflow prevention devices is critical for the health and safety of everyone! Local water districts as well as the health department have gone to great lengths to ensure that the city provide safe drinking water. It is required that backflow prevention devices be tested at least once a year and that they pass the minimum federal requirements. Smelly Mel’s tests all serviceable backflow prevention devices, from irrigation to main fire lines. If you have received a notice from your local water provider call Smelly Mel’s Plumbing Inc. With highly trained testers,Smelly Mel’s Plumbing Inc is an expert when it comes to backflow prevention. 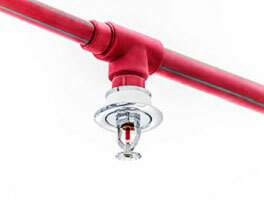 History has proven fire sprinkler systems are extremely reliable when it comes to the protection of life and property. When installed properly and maintained according to the NFPA Standards, a fire sprinkler system will control and often extinguish a fire in an unexpected emergency. Smelly Mel’s Plumbing Inc of San Francisco takes the responsibility of maintaining a fire sprinkler system and helps you manage your fire life safety with ease and peace of mind. By providing a regular maintenance schedule, Smelly Mel’s Plumbing Inc of San Francisco will provide you detailed reports of what is happening in your fire protection system. We pride ourselves with having highly-trained employees in this industry.